In the fall of 2014 Stephanie was approached by friends who owned Adventure Pet to take over running dogs for the company. Intrigued by the idea of stepping out of corporate America to play with dogs, earn a little money for the family and have flexibility to still be a dedicated mom and wife Stephanie broached the idea to Troy. Honestly, Troy wasn’t onboard right away. However, after giving it some thought Troy’s desire for his wife’s happiness won out and he agreed she should give it a go. In Troy and Stephanie’s previous life they collaborated as consultants for companies to provide business development, so it wasn’t long before Troy completely redesigned the website, revamped the social media and the business took off. Two months later Troy joined Stephanie in running dogs, and six months after that they agreed to purchase the company and call it their own. One year after taking over they grew the company one thousand percent and the couple hired their first employee. One year after that they combined visions with the Rhoda Family and the Wood family to create a boarding and DayCamp facility unlike anything in northern Nevada. Their ultimate goal was to create a place that incorporated all the specific requests that clients had been making over the years to include things like small group to handler ratios, 24/7 care, a home-like environment, a staff who truly loved their pups and a place where they didn’t feel guilty leaving their dogs at while they were gone. Throughout the course of building a facility for clients Troy and Stephanie grew the Excursion team covering all of Reno and Sparks to a dozen team members with over four hundred and fifty dogs in the program. In 2017 this amazing team ran a combined 15,000 individual dog adventures. From day one Adventure Pet has been a heart project with clients and their pups placed in the center. 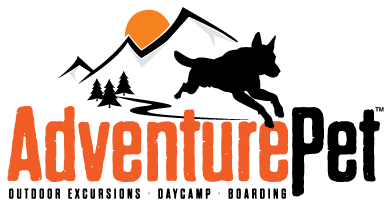 Focused on developing relationships designed to create the “Adventure Pet family,” Troy and Stephanie have been driven in a mission to provide a service and experience that they would want for their own dogs. They have been blessed to partner with likeminded and talented people to create a team that takes pride in knowing they are part of something special every single day. We hope you decide to introduce yourself and become a part of the Adventure Pet family.